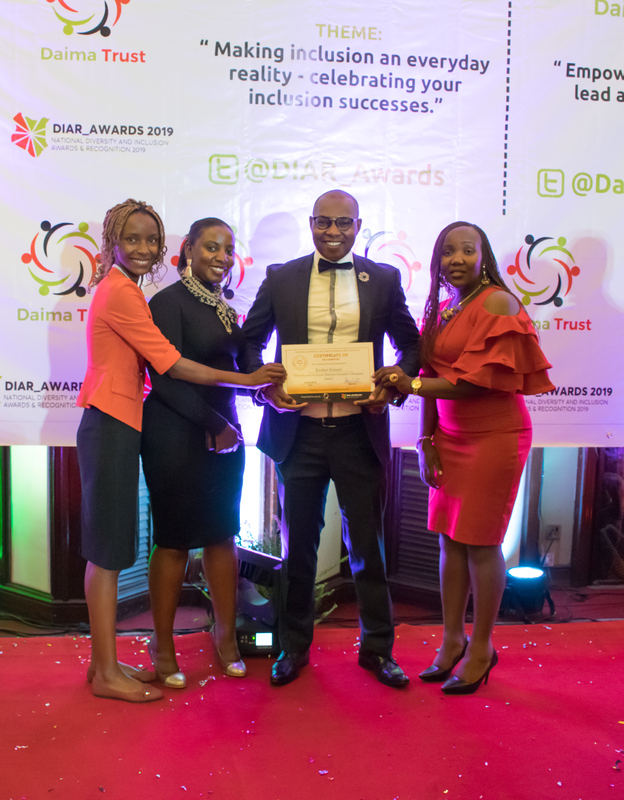 Reuben Kimani, the CEO, Username Investment Ltd. On Monday was conferred Business Executive Champion Award during the 2019 National Diversity and Inclusion Award Gala Dinner held at Safari Park Hotel. The theme for this year’s event was “Making inclusion an everyday reality-celebrating your inclusion successes”. The awards seek to recognize and honor exceptional leaders who have demonstrated sound leadership and have successfully applied it to spearhead growth and prominence for their businesses and/or careers. “We are honoured to receive this award today. At Username Investments we embrace a culture of diversity and Inclusion in all our operations. With a variety of affordable products in our catalogue, thousands of Kenyans from all walks of life have acquired land to build their homes. This recognition is unique to us being the only real estate company that participated. This indicates our leading and unique commitment in making property ownership inclusive of all Kenyans irrespective of their incomes.” Reuben Kimani said as he received the award. This is the second year these awards are held to recognize, celebrate and honor Corporate organizations, NGOs, government agencies and individuals who champion for the inclusion of persons with disability, the youth; as well as gender equality champions, peace and cohesion champions and green economy champions. The participants were lauded for their role in making inclusion an everyday reality in their businesses and the county at large. Username Investment Ltd. extended an Easter Offer of 20 per cent off for the first 100 investors in their newest project Selim Plains- Konza. Cash investors will buy at Ksh 299,000 instead of Ksh 375,000.